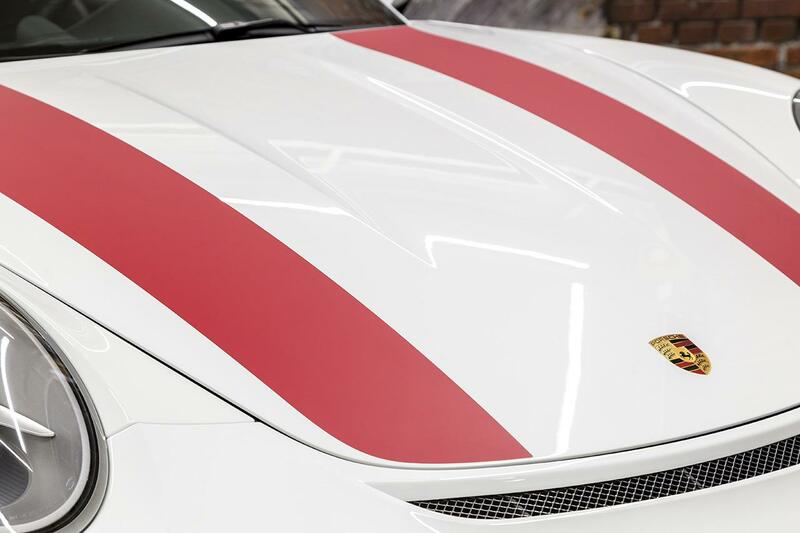 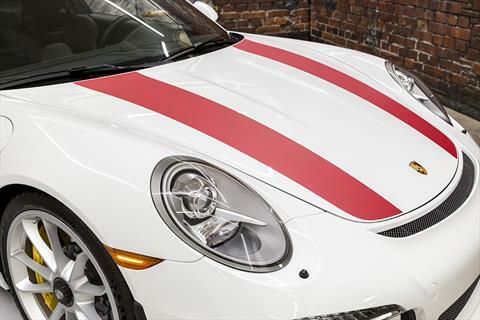 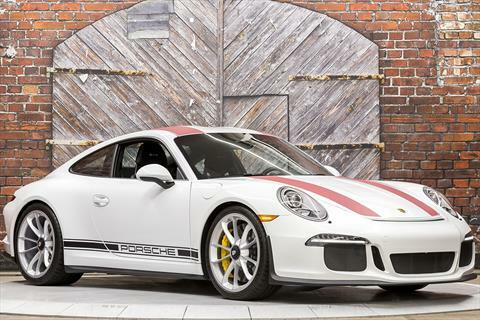 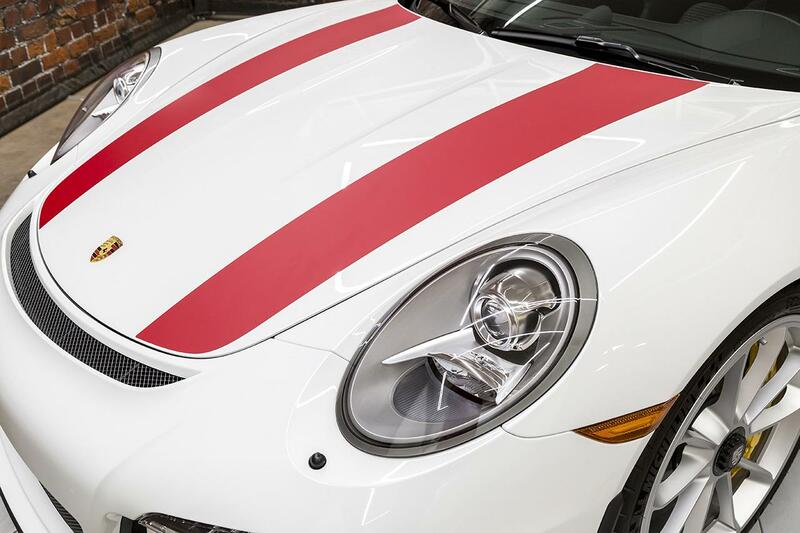 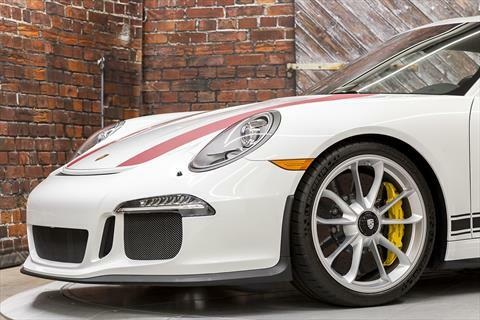 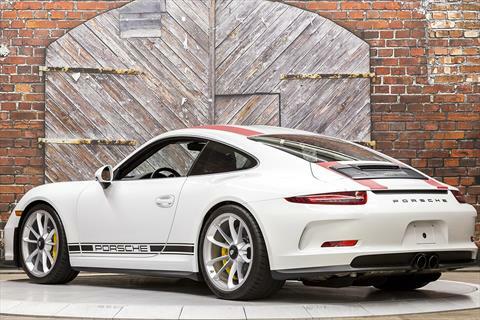 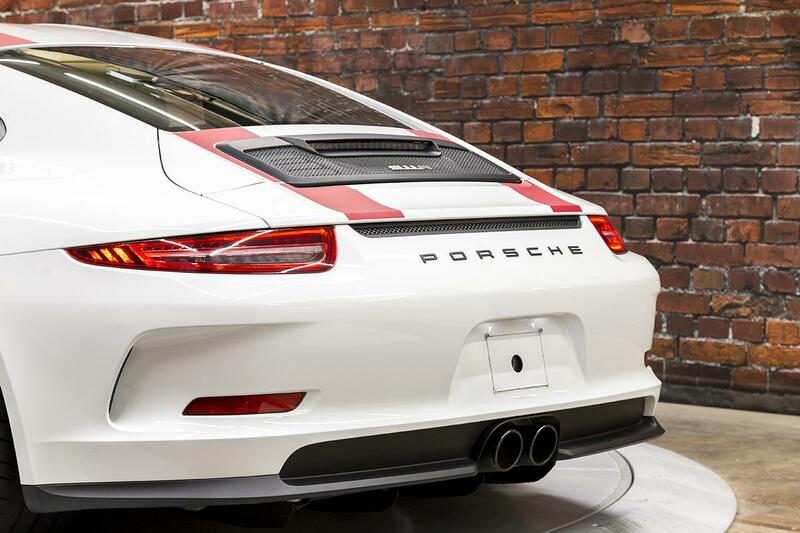 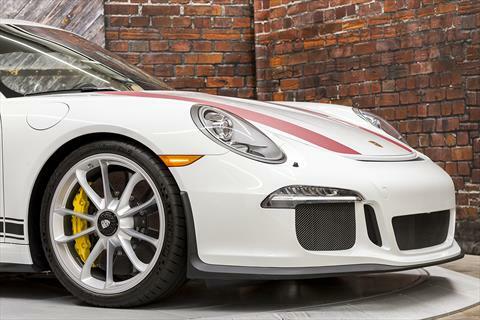 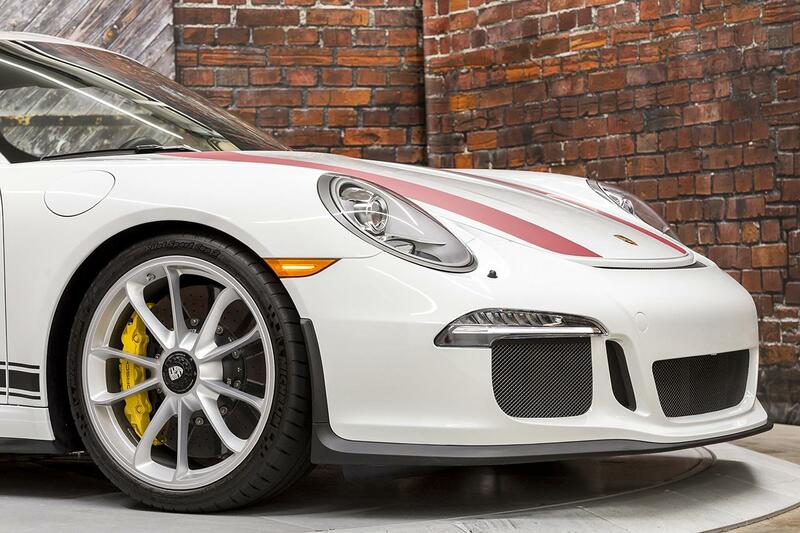 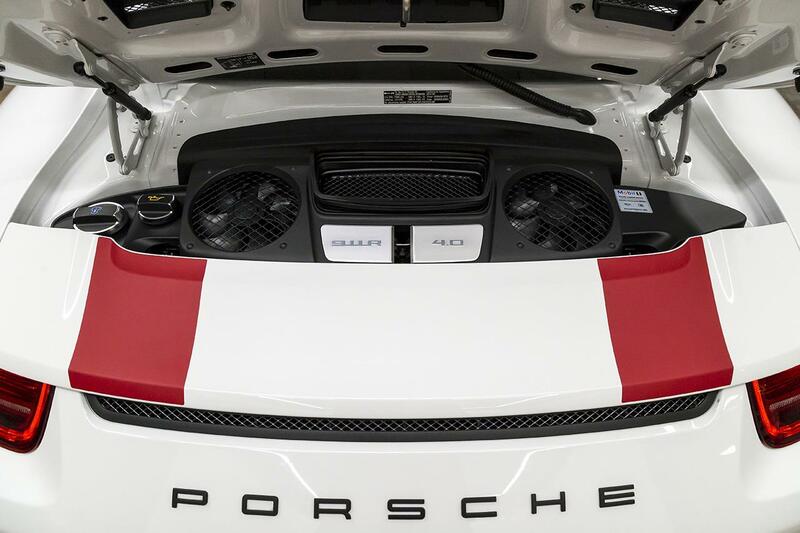 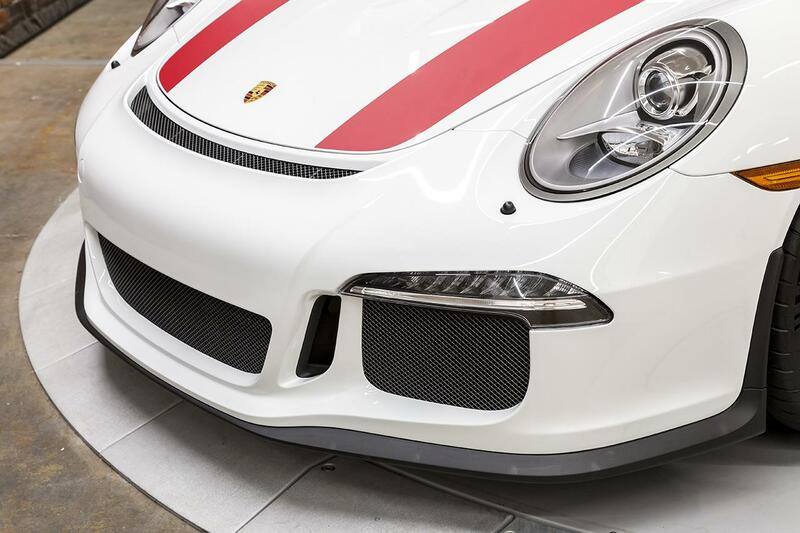 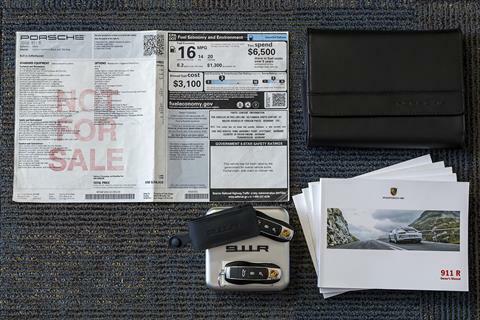 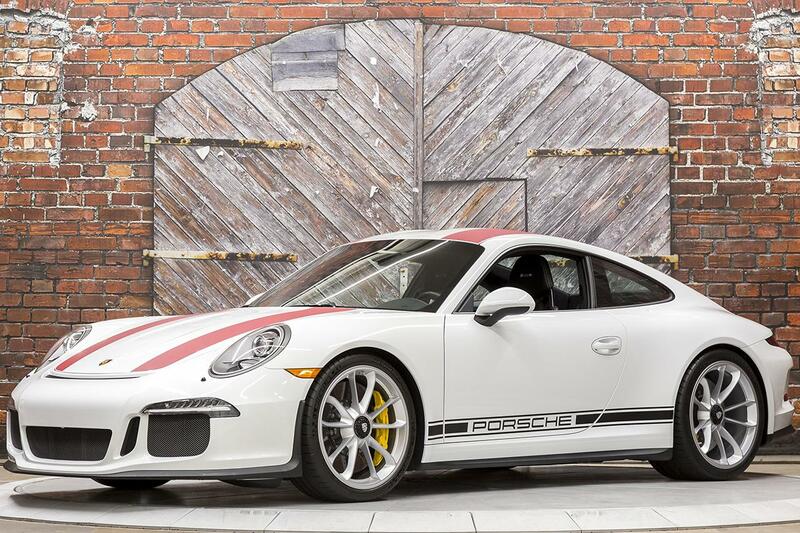 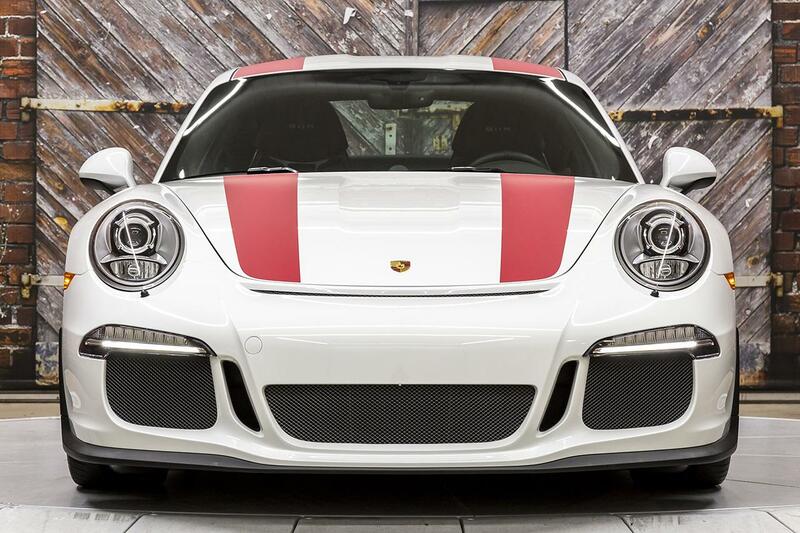 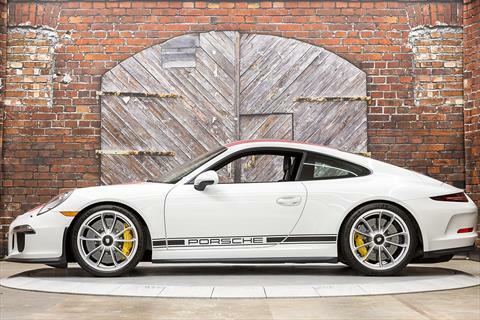 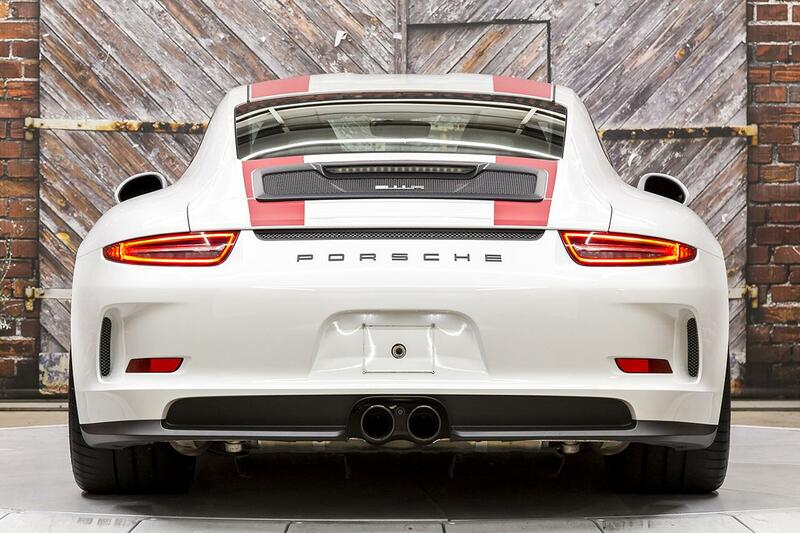 Presenting this Rare, 1-Owner 2016 Porsche 911 R in White with 911 R Stripes in Red over a Black Leather interior with Houndstooth Cloth Inserts and GT Silver Stitching with just 1,693 miles. 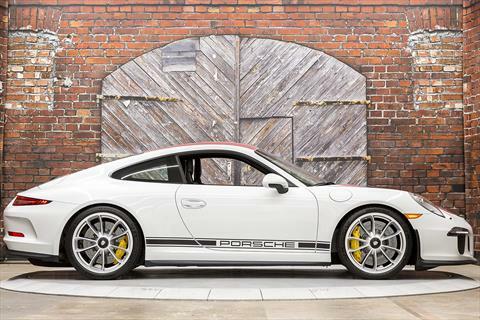 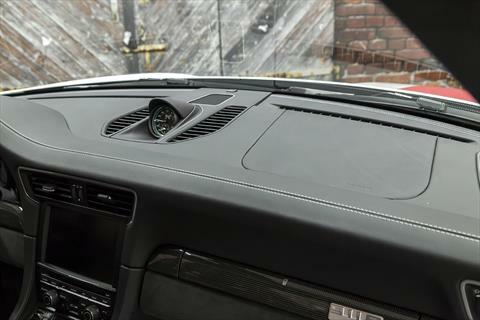 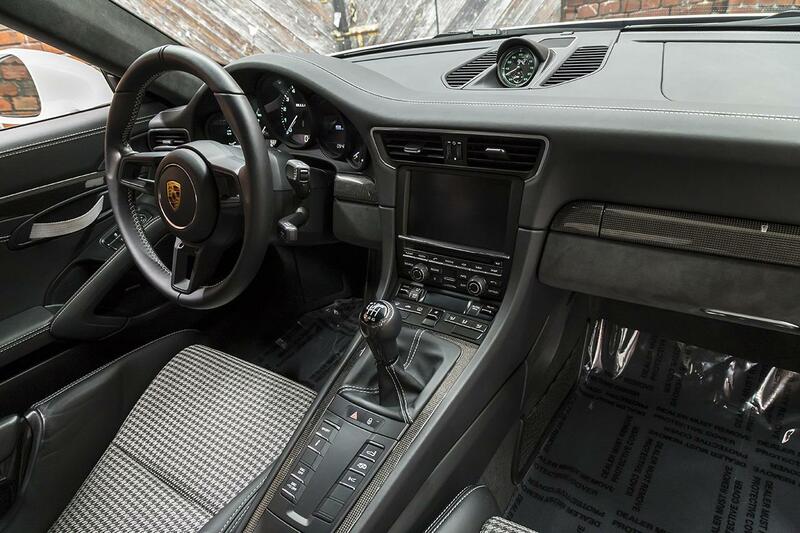 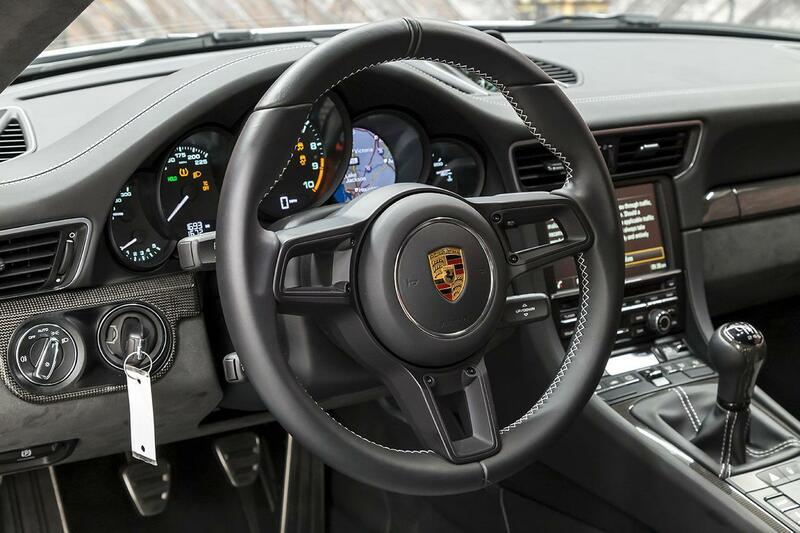 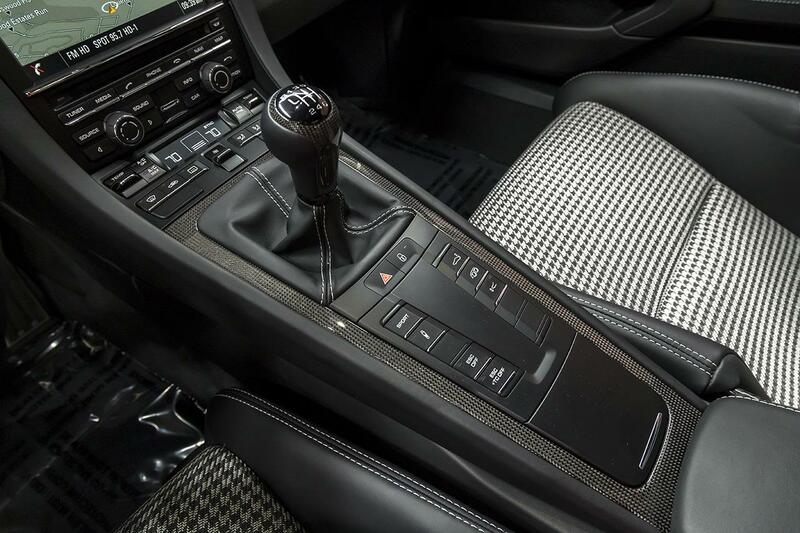 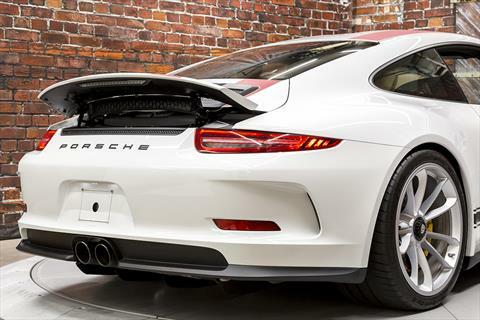 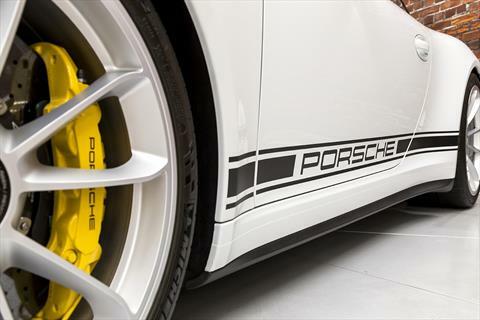 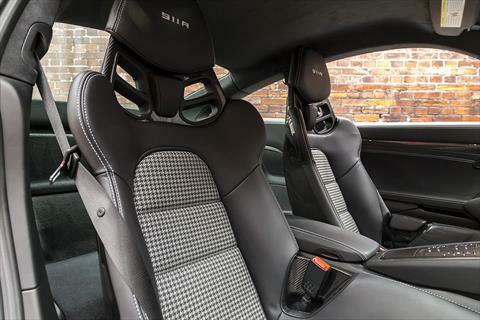 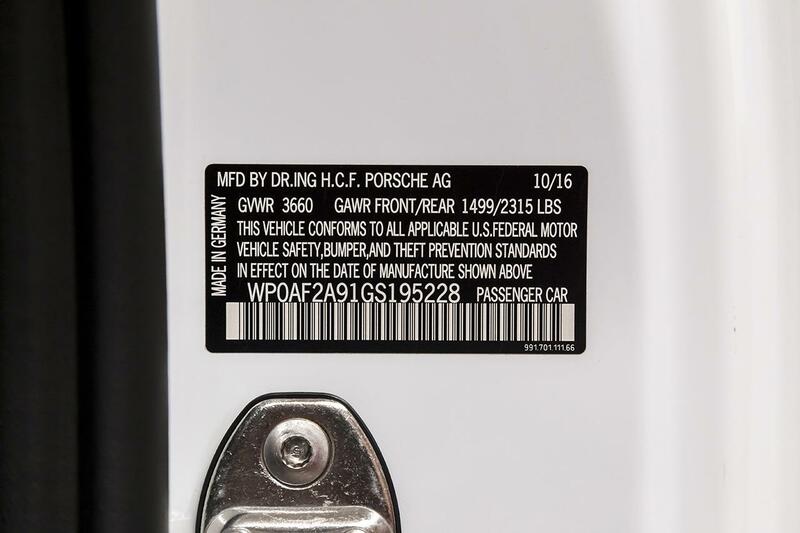 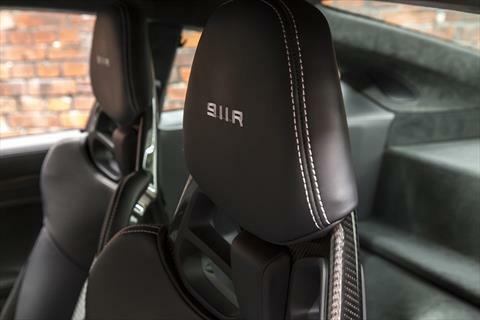 The 2016 911 R is limited to just 991 total production and is powered by a 4.0L direct injected, horizontally opposed (flat) 6 cylinder aluminum engine producing 500 hp and 339 lb-ft of torque through a 6-Speed GT Sport Transmission with Rear Wheel Drive. 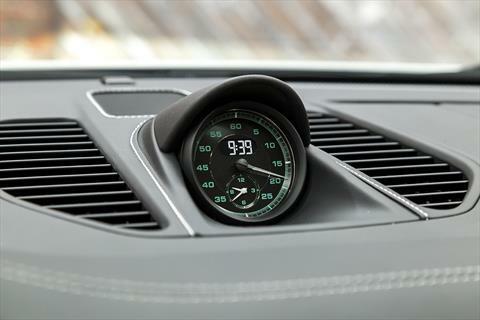 Thanks to the $3,650 optional Single-Mass Flywheel with Reinforced Clutch, this 911 R absolutely rips through the gears. The speed at which the engine rev-matches on downshift is incredible. Porsche nailed it with the 911 R. This car is a drug. 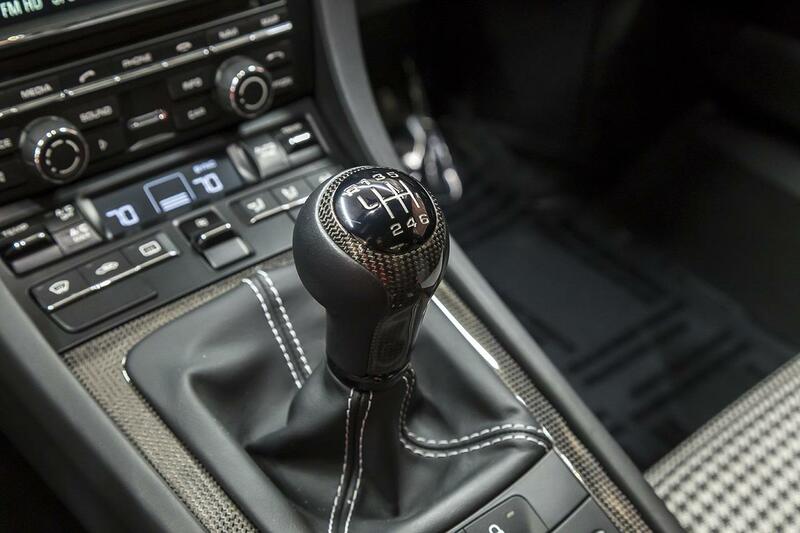 And it is quite addictive! 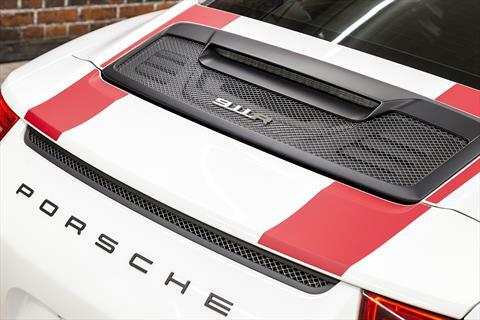 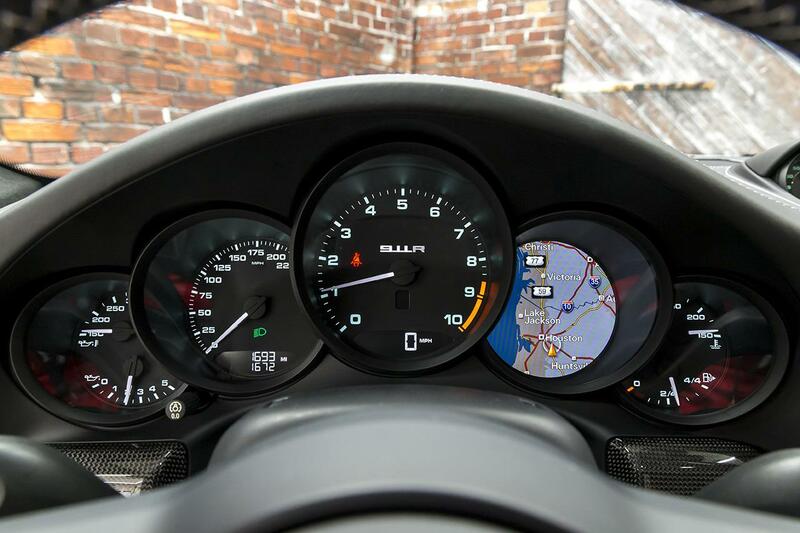 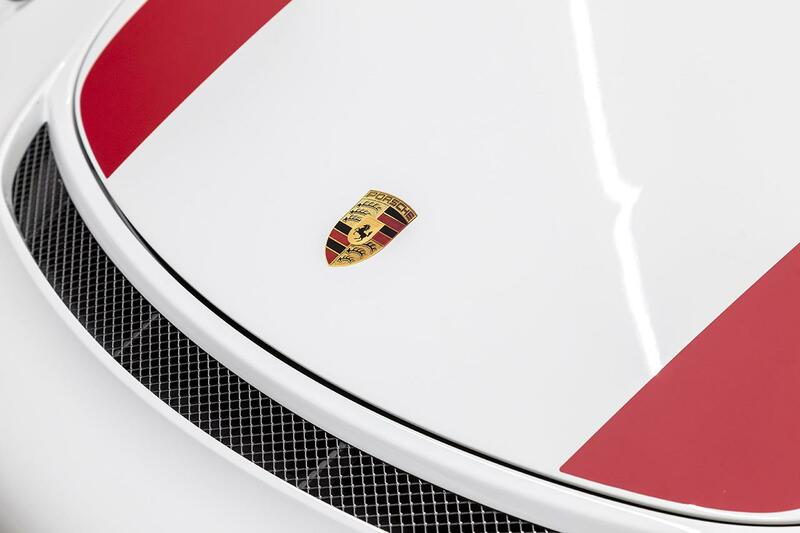 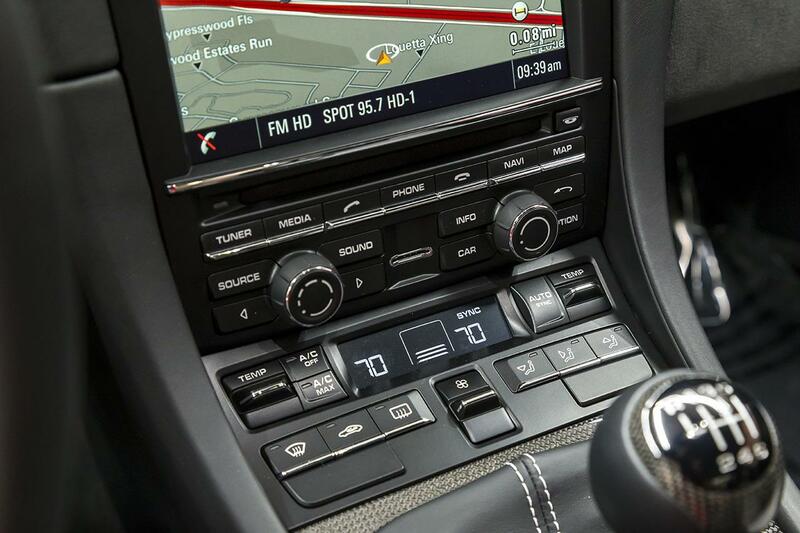 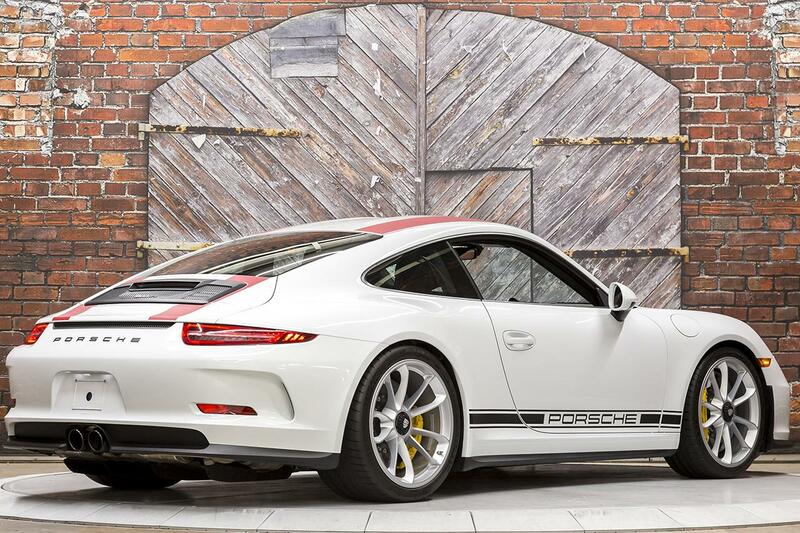 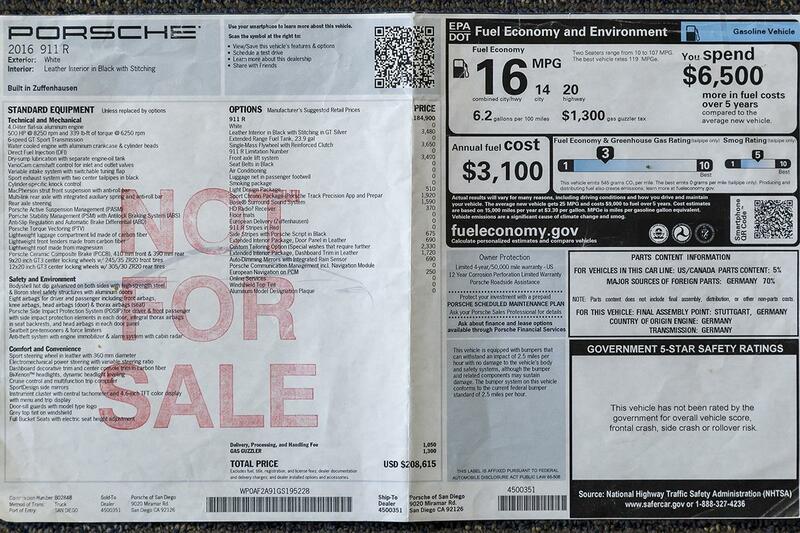 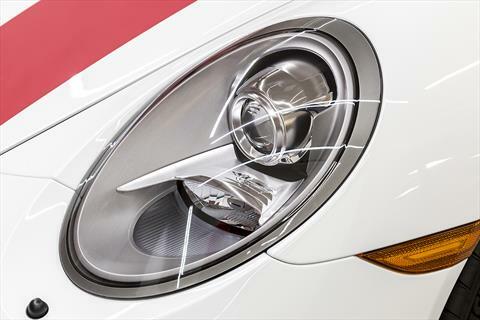 The 2016 911 R is a purist’s dream. 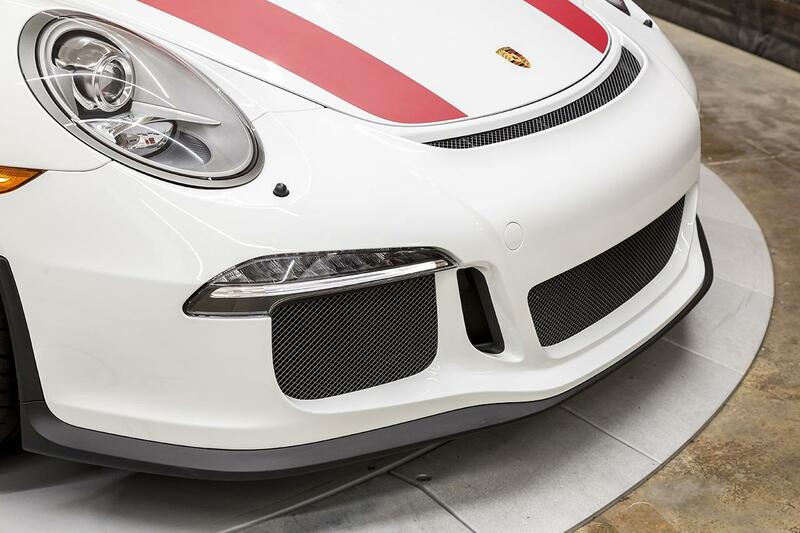 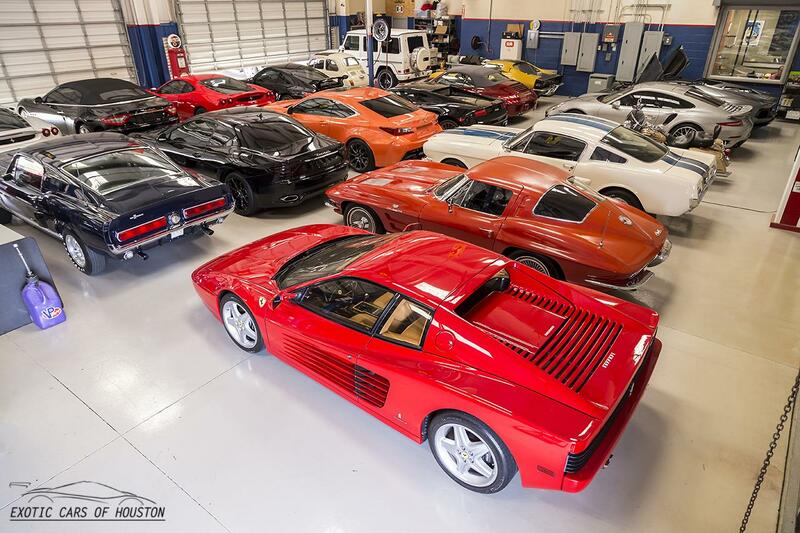 It weighs in at just 3,020 lbs and is propelled by 500 hp. 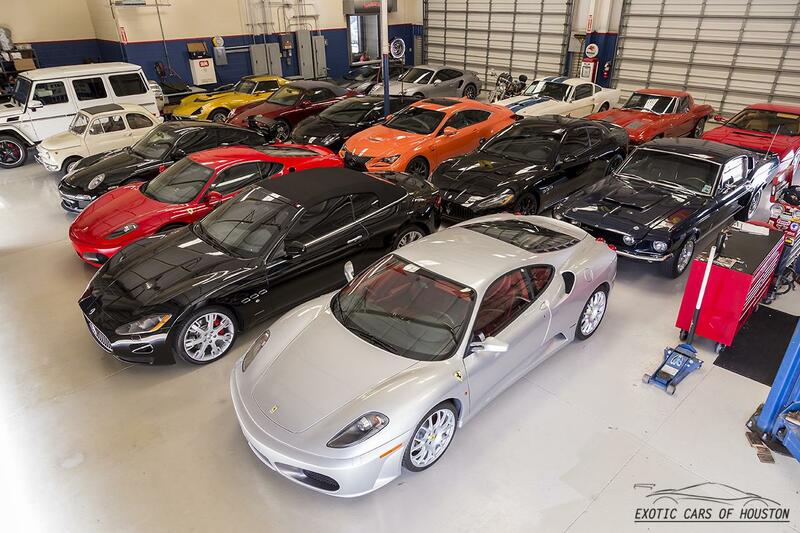 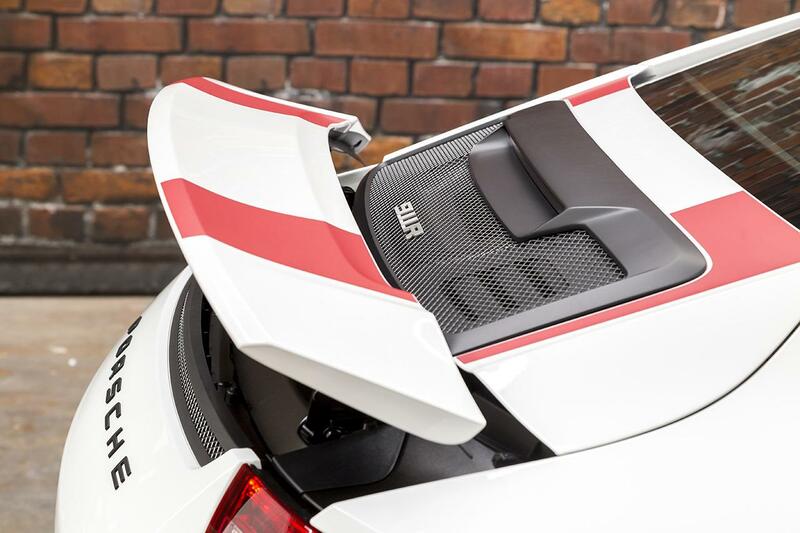 Weight saving measures include carbon fiber front fenders, front bonnet lid, and seat backrests. 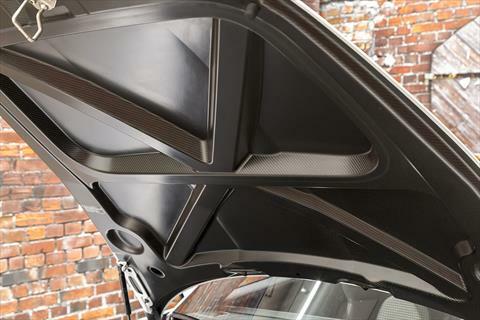 The roof is made from magnesium. 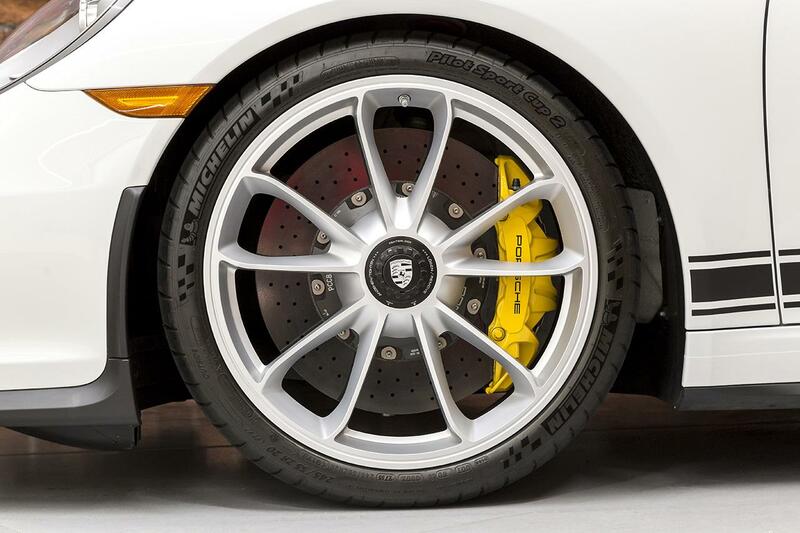 The 20 inch wheels are forged from aluminum and use a center-lock retention system. 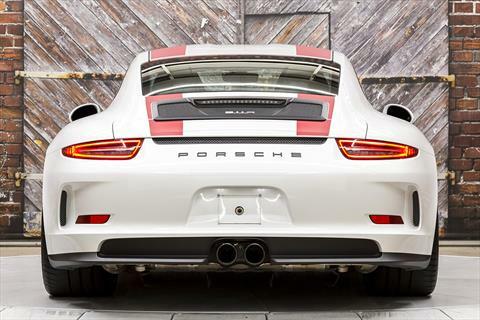 The exhaust is made from titanium. 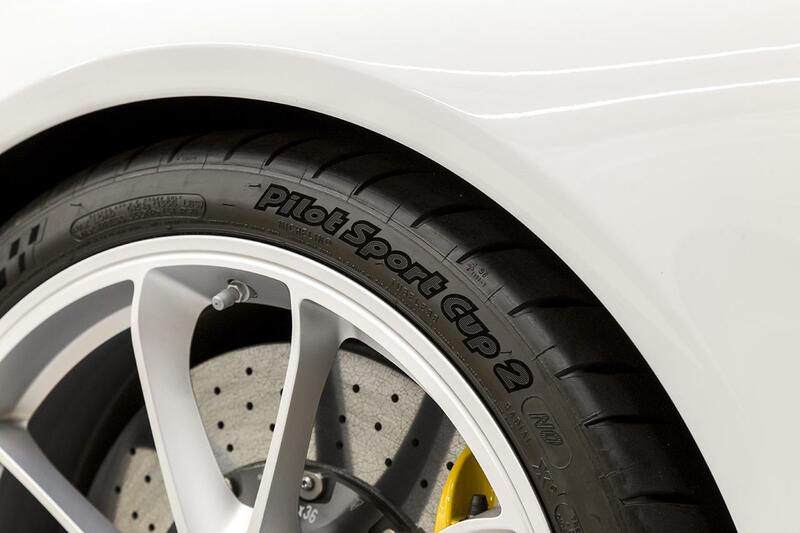 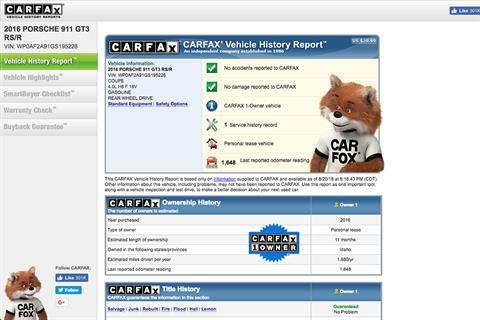 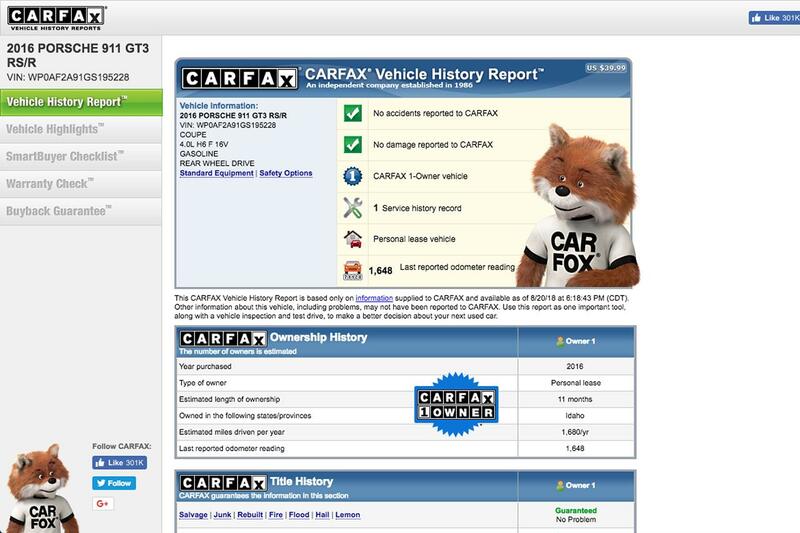 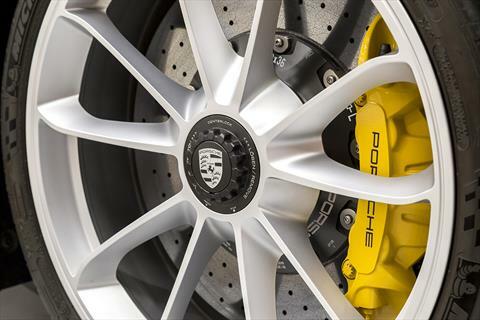 The brake rotors are carbon-ceramic. 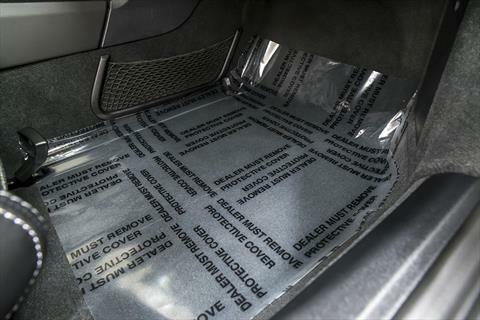 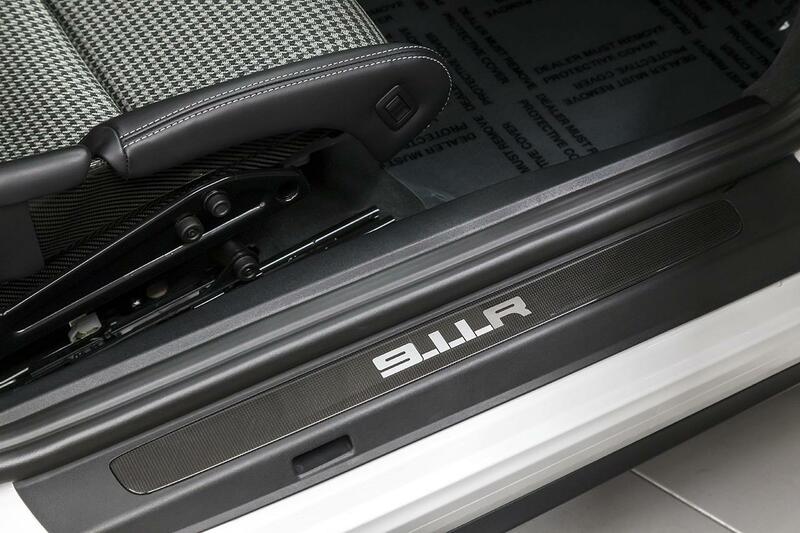 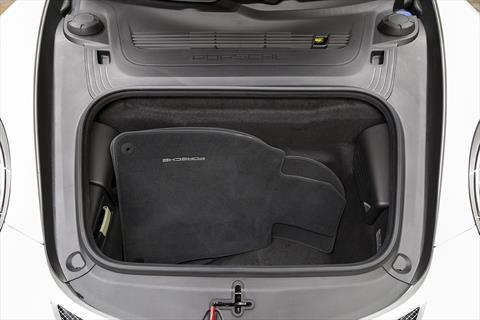 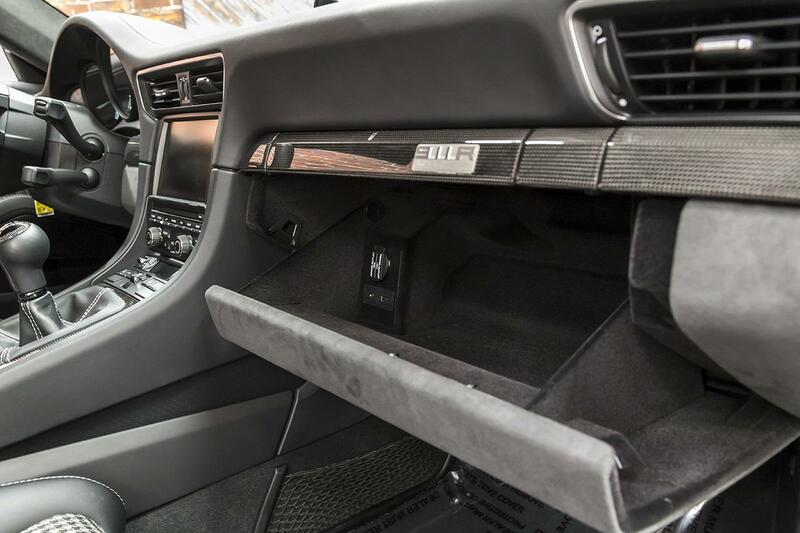 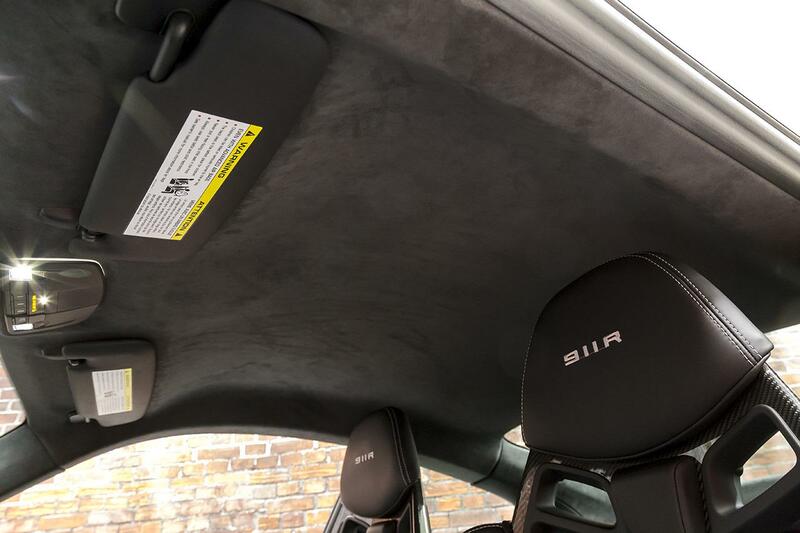 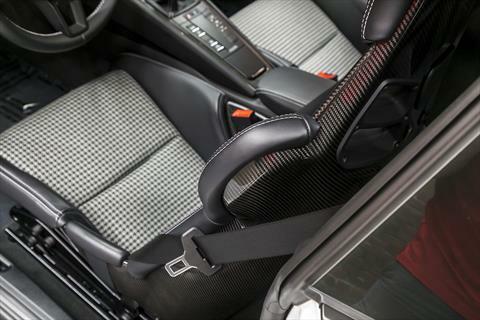 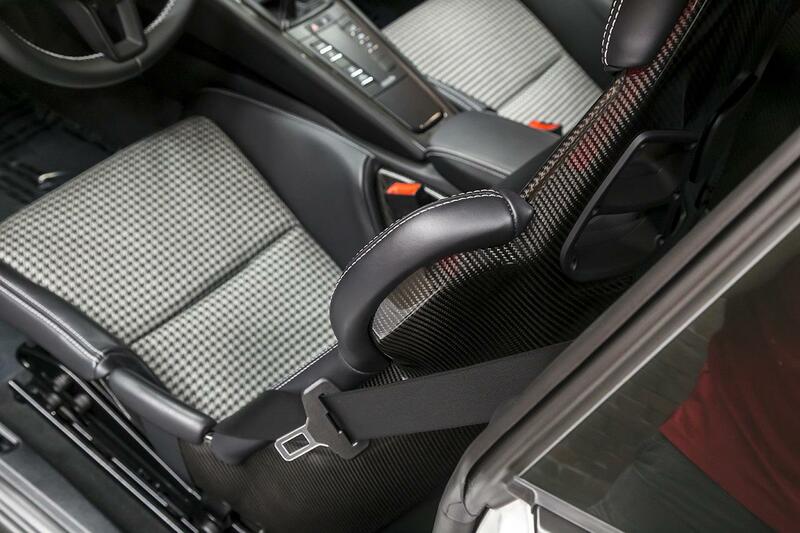 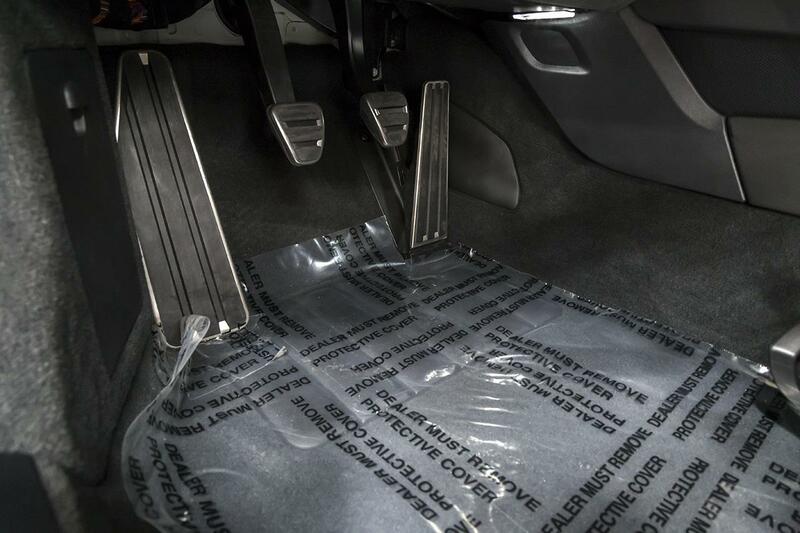 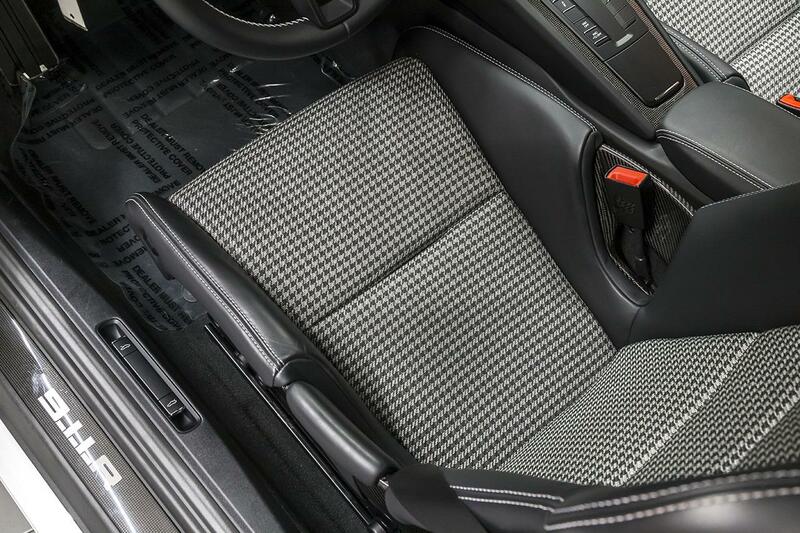 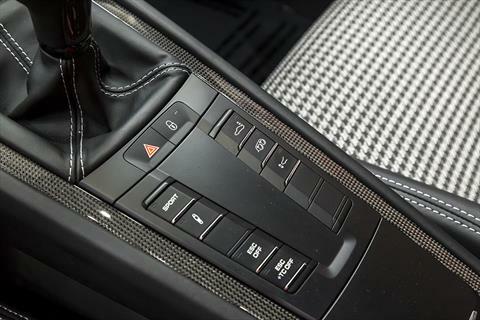 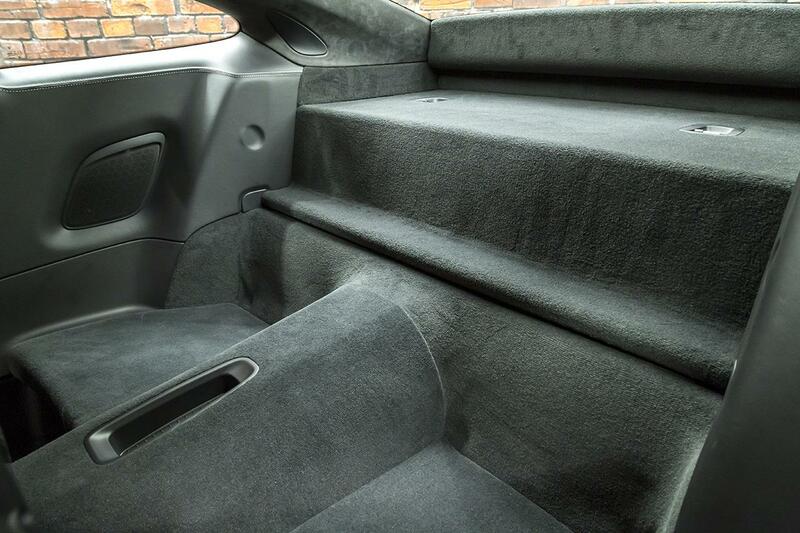 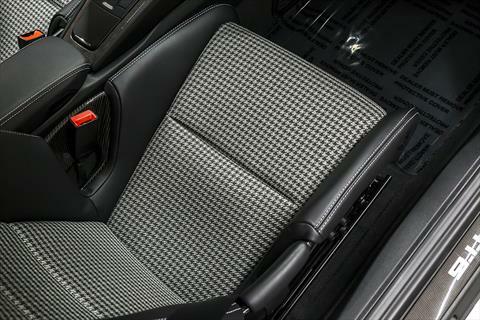 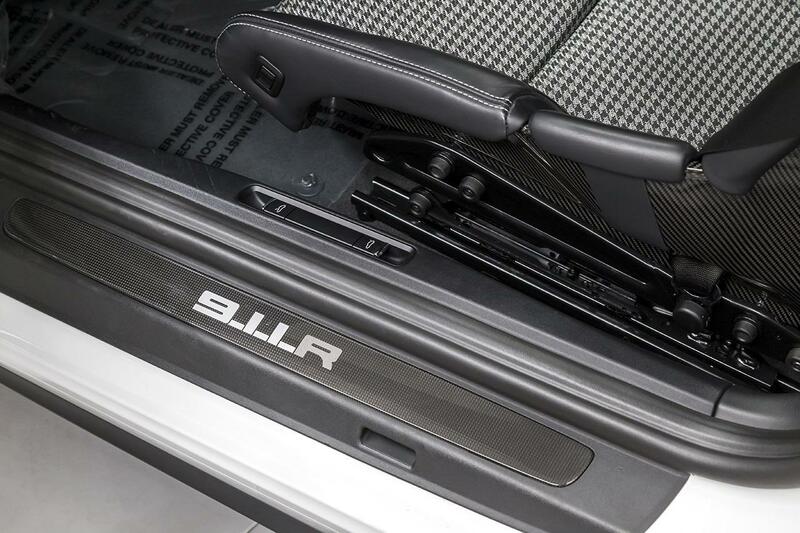 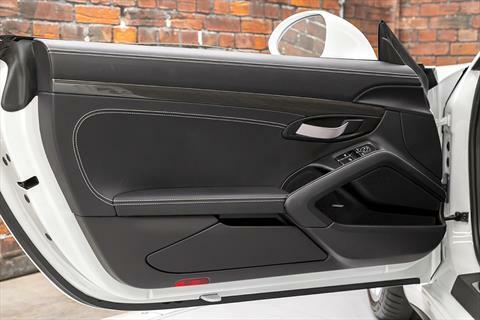 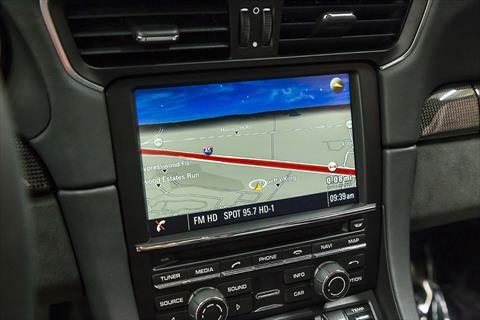 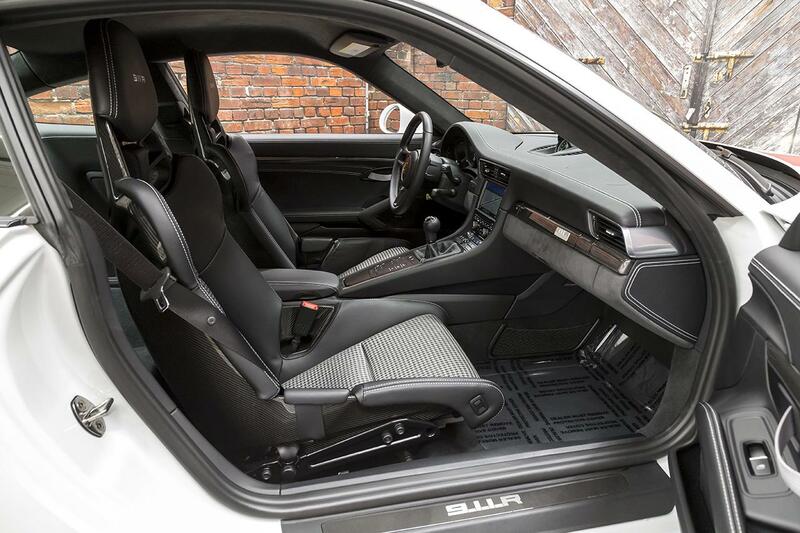 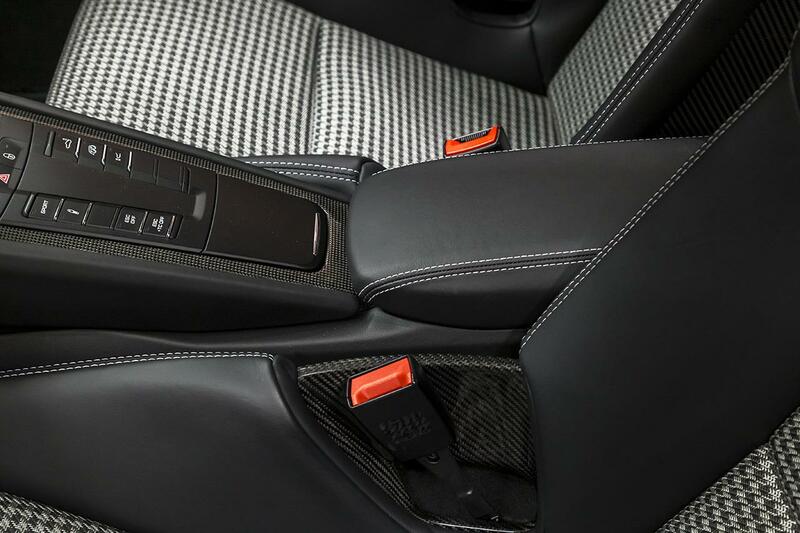 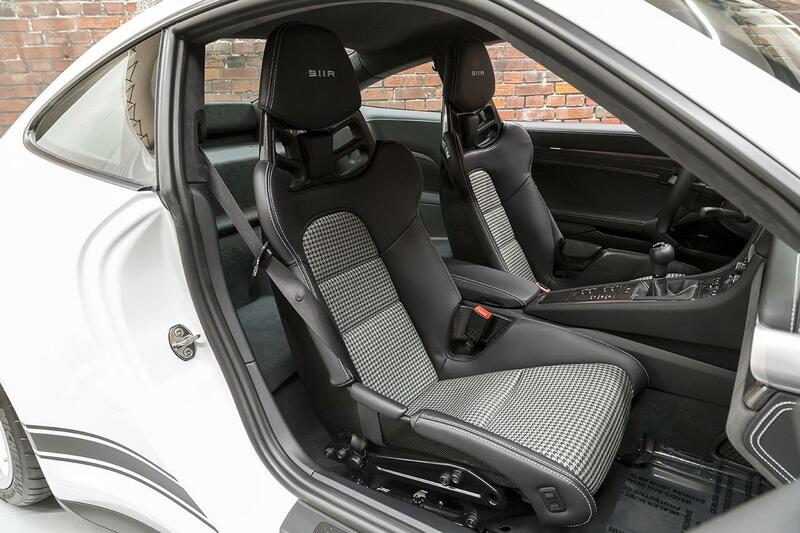 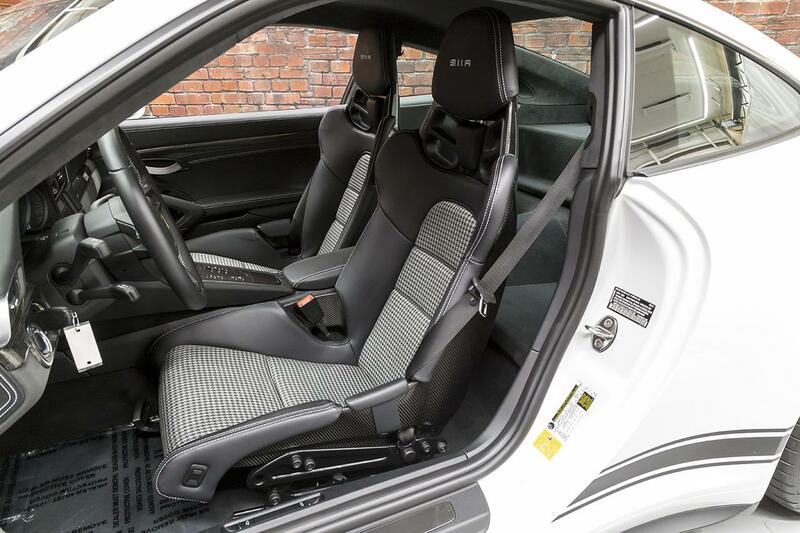 The interior utilizes less sound deadening material than normal. 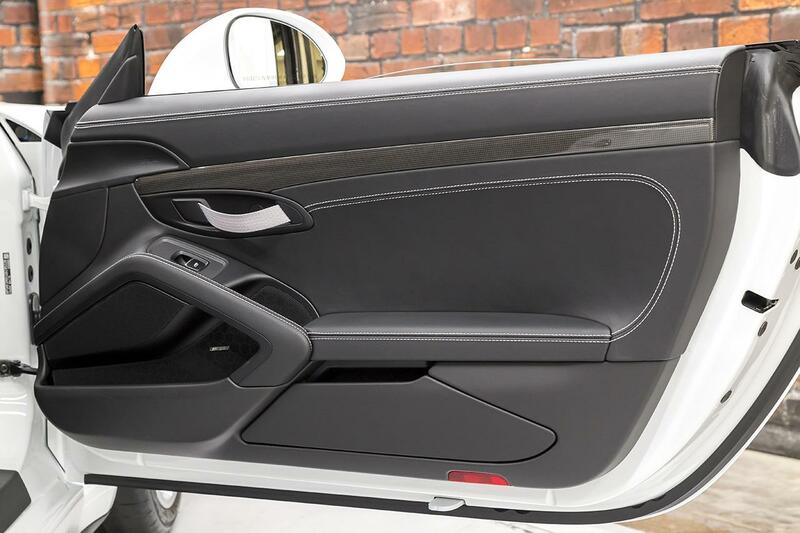 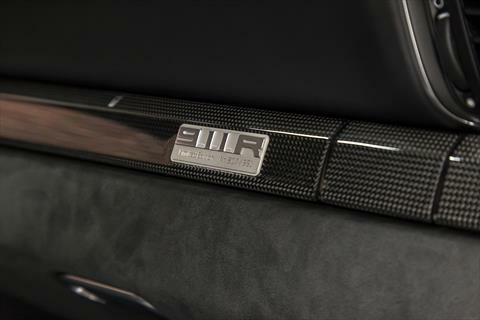 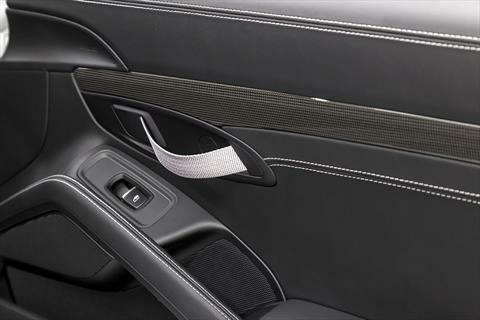 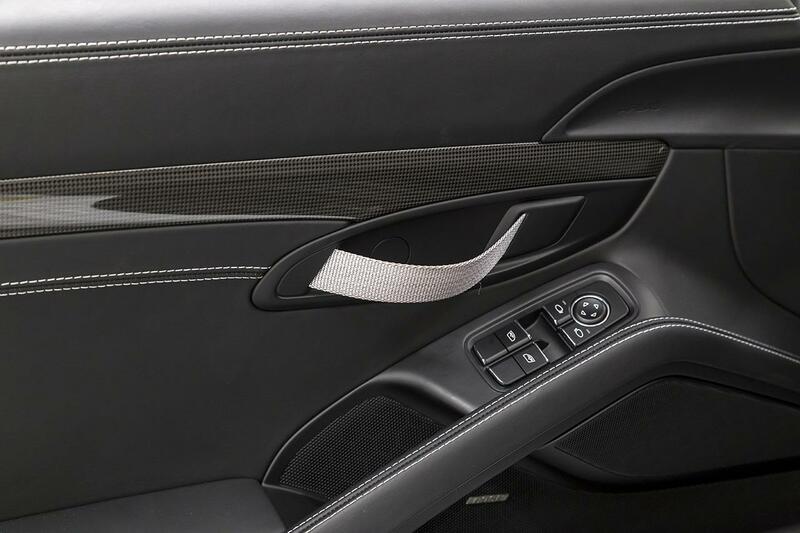 The interior door handles are made from fabric straps. And although air conditioning and a stereo are omitted by default, this car does come equipped with both.